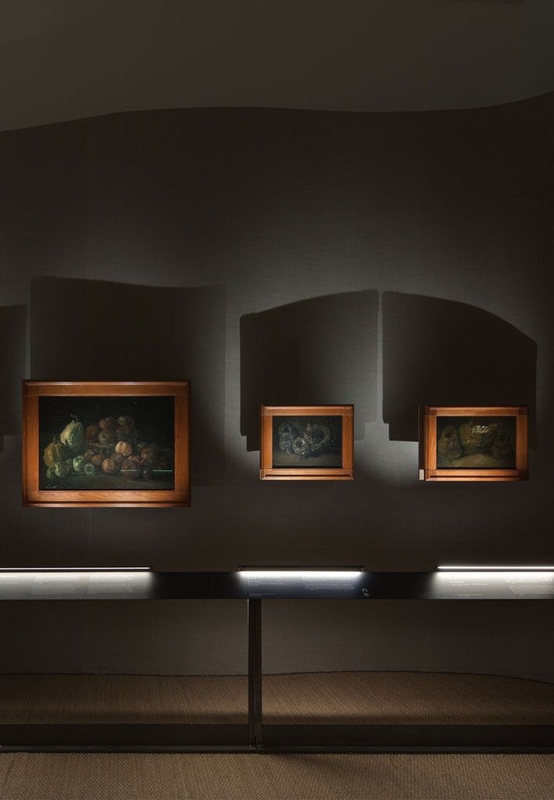 a light to bring the viewer closer to the enduring bond that unites the dutch painter with the land, the cycle of nature and the hardships of country life. 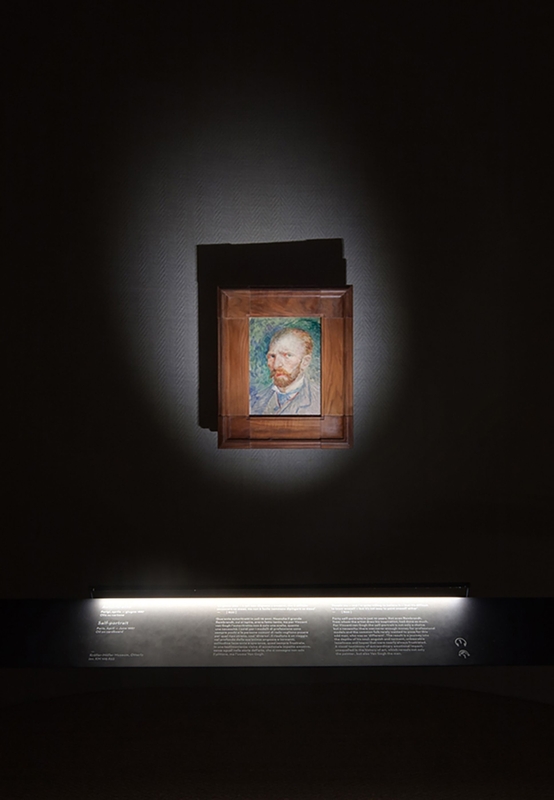 this is the poetic declaration that underlies the arrangement and lighting design for the exhibition which has brought 47 works by van gogh back to Italy, more than fifty years after first exhibition dedicated to him, also at palazzo reale. 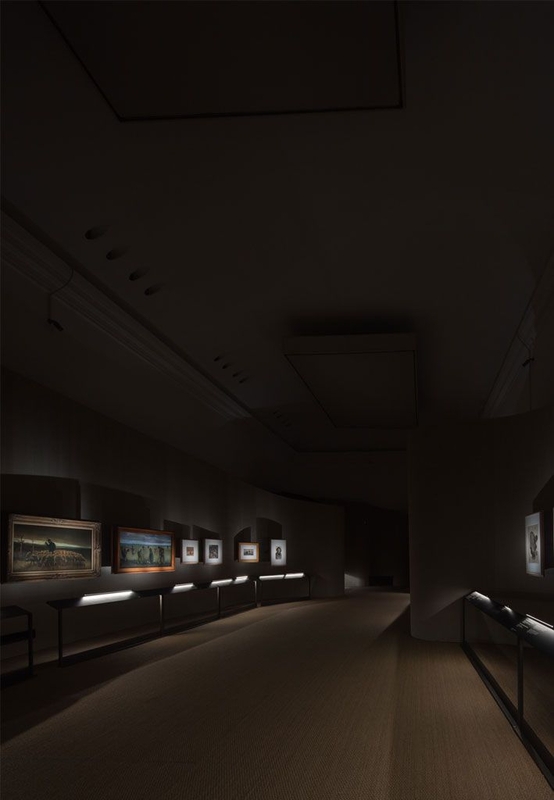 the exhibition setting has been designed by the japanese architect kengo kuma, commissioned by the curator katleen adle, and offers visitors the experience of full immersion in the world and sensitivity of van gogh. 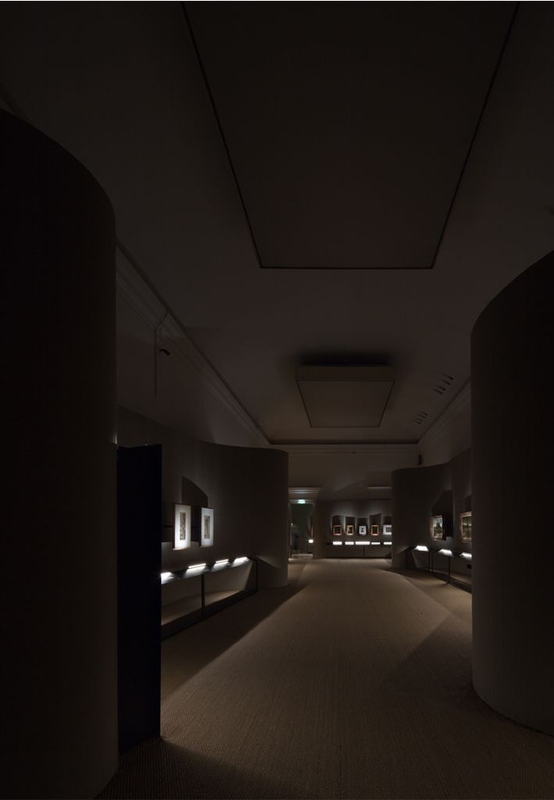 for this event the architect chose all materials in shades of ecru, evoking undulating cornfields on the walls, in keeping with the Japanese aesthetic of ukiyo-e, that is the fluctuating world: a perceptual system based on waves of emotion, the same as the seventeenth-century prints so cherished by the dutch master and with which he will always be associated. natural light is very important in van gogh’s work. 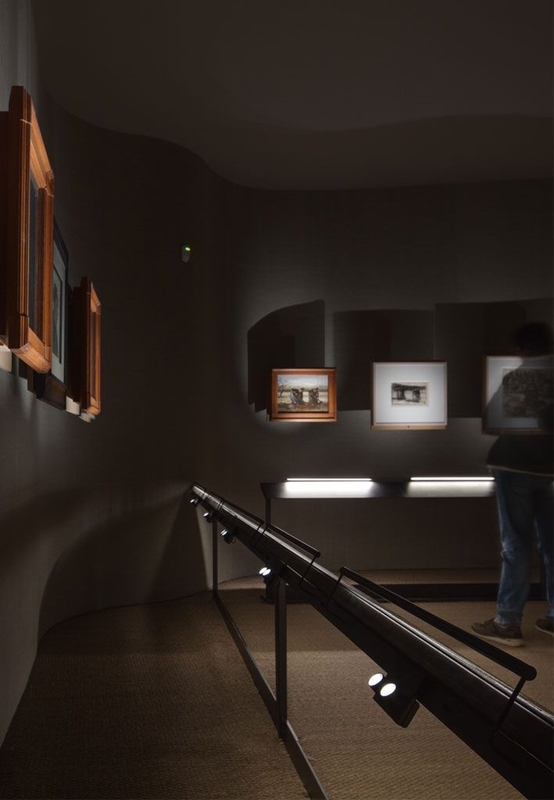 so the tunnel of jute, which follows the whole exhibition itinerary, is made welcoming and vivacious by the ‘sunlight’ developed by Viabizzuno, so this material, important in van gogh’s childhood, is brought to life with an original ‘earthy’ consistency, evoking the countryside, farmwork and the enjoyment of life. 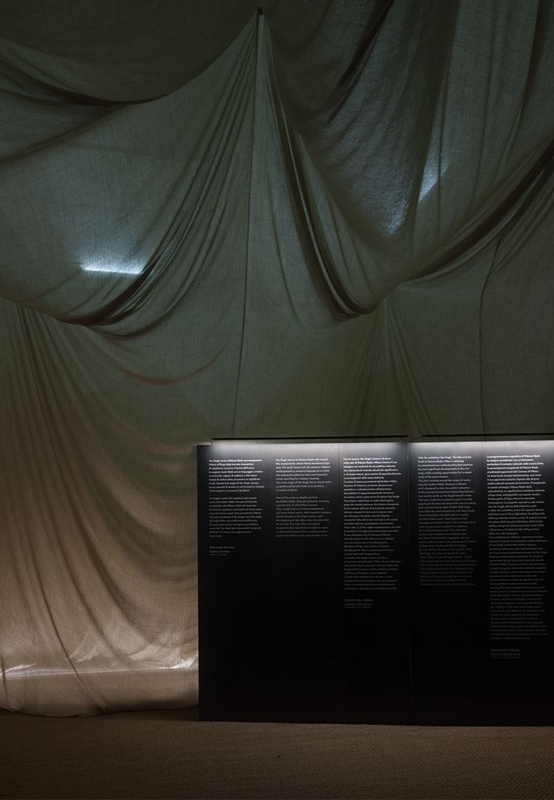 in general, the lighting design is based on the idea of making light come from below, not from above as in traditional arrangements: the light rises from the earth, creating shadows on the walls with the same gentle energy as the sunrise tracing the outline of certain fields in central europe. in addition, it is always light that imparts fullness to pictorial features, depth to objects and intensity to the content. the dual spotlight system has been specifically developed to provide concentrated accent lighting. the two light fittings are also fitted with very high colour rendering index led lamps to give a faithful colour rendition over the entire range of the visible spectrum. 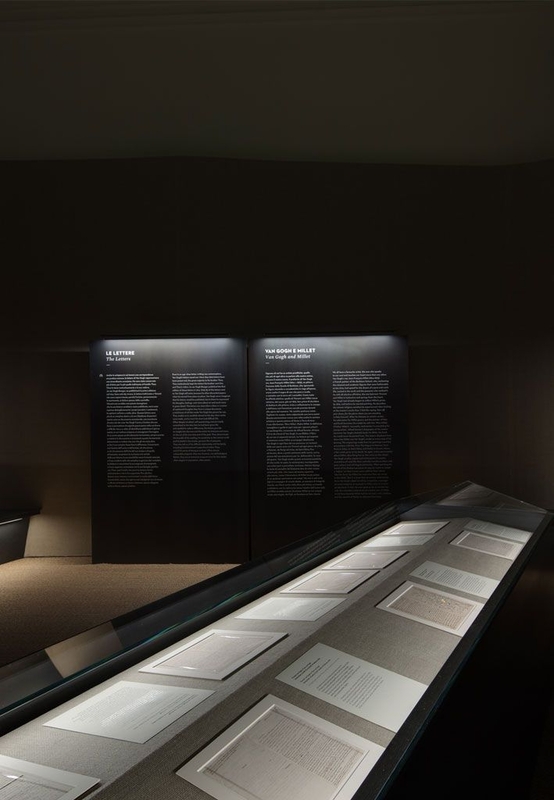 the paintings are displayed away from the walls; they appear to float and, washed by a purpose-designed light that is in harmony with them, cast long shadows on the jute walls. 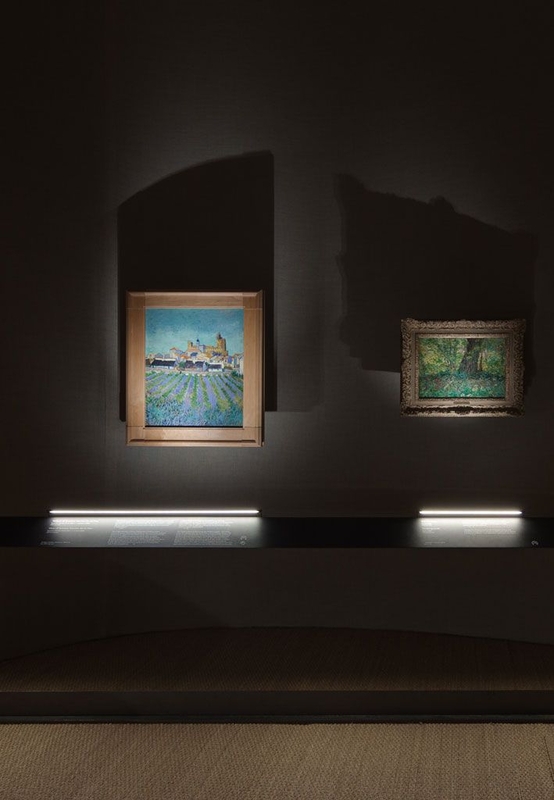 the shadows are reminiscent of the atmosphere of the fields that van gogh himself experienced and observed and the potency of his art, which succeeded in rediscovering the material nature of the earth and in portraying it.